In 1992, Wesley Stout made a commitment to provide distinctive landscape architecture and planning services to the corporate, commercial, institutional, and residential community. Now entering its 25th Year, the firm’s professional staff of licensed Landscape Architects and certified Planners offer creative design and problem solving to integrate the Clients’ often-diverse program requirements into sensitive and highly successful site designs. As a recognized leader in the metropolitan New York area, Wesley Stout Associates provides expertise through each phase of the project – from feasibility and conceptual planning through regulatory permits and entitlements, and on through the construction documentation and administration phases. The office of Wesley Stout Associates is located in the town center of New Canaan, Connecticut; conveniently bordering the City of Stamford and a one-hour commute from New York City. The New Canaan studio is within the former offices of Elliot Noyes, a prominent architect in the modern movement and a contemporary of Philip Johnson. 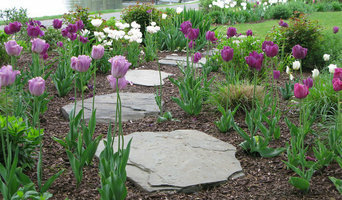 The accomplishments of the firm have been recognized with over two dozen design and planning awards, including many from the Connecticut Chapter of the American Society of Landscape Architects (ASLA), American Institute of Architects/Connecticut (AIA/CT) and the Home Builders & Remodelers Association of Connecticut, Inc. (HOBI). These awards have been earned in local, regional and national competitions recognizing the professional accomplishment and outstanding design of a submitted project. In pursuit of our mission “to exceed our client’s expectations”, our goal is to create environments that are unique, stimulating, environmentally sound and compatible with the greater community. We are obsessed with creative ideas, inspired by nature, and passionate about the spaces we create through an intuitive and analytical design process. The fact that we have been able to meet our clients’ expectations with imaginative solutions that take into account the living environment, sustainability, and the need for function, and which have also consistently enhanced the value of the property, is a great source of pride for us. No matter the size of the project, our ultimate goal is to develop moving, friendly and enduring places where people live, work and play. We invite you to wander through our portfolio, read the testimonials and profile, and email or call us when you are ready to be inspired. 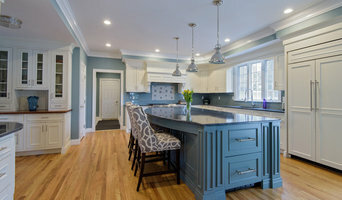 Classic Construction Group is a Westport, Connecticut-based design and build general contracting firm specializing in the finest quality custom residential construction, renovation, sustainable design and waterfront projects. We take on even the most challenging projects with careful attention to detail, specializing in large scale renovations and additions. We have been in business since 1994 serving Lower Fairfield County and Westchester County and believe there is only one way to do things: the right way. In a world where cutting corners has become the norm, we routinely exceed industry standards for quality and craftsmanship. The result is a unique home with true artisan character. Working with Classic means that you have a team of people that are with you every step of the way. Whether you are looking for guidance on the best architect or to renovate your kitchen, our team of professionals will see you through the entire process. 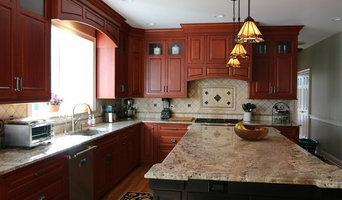 Our craftsmanship, attention to detail and exceptional client service are what we are known for. We stand by our work and will make sure you are 100% satisfied. Just ask our happy clients. They have been with us through many projects over our 17 years. Let's talk. Faros, pronounced fah-rōs, is Spanish for lighthouse. This was chosen as our company name not only because of our Latin heritage or focus on coastal work, but because of our desire to be a guide and a beacon to others. We have provided design, construction, and remodeling services throughout the New Haven and Fairfield County regions for over 30 years. Our design/build firm has worked on a broad spectrum of projects ranging from small bathroom fit-ups, to complete knock-downs and rebuilds. We specialize in storm resistant homes, general remodeling, additions, sustainable integration, and have completed many total home makeovers. Recently, it has been our collective focus to become the go-to source for all coastal and wetland related projects and inquiries. We meet and supersede all of the latest local, state, and federal requirements, while continuing to push the envelope with our innovative design and construction practices. We feel truly honored to work with our clients on all of their homes, businesses, and visionary projects. Our family style business approach, combined with our extensive knowledge and expertise in the trades has become the driving force in our continual success in our region and beyond. Our mission is to “light your path” throughout the entire design and construction process. Wright Building Company is a high-end custom home builder and renovation specialist serving Fairfield and Westchester Counties. Throughout the years our team has established an advanced set of building criteria by employing experience, process, skill and communication to every job. For these reasons discerning homeowners and leading area architects have come to rely on Wright for distinctive building quality. We service Fairfield County including Greenwich, Westport, New Canaan, Darien, Stamford, Weston, Fairfield and Wilton as well as the surrounding area into Westchester County, NY.